This article is from an interview with Utah criminal defense attorney Jason Schatz. This portion is regarding how probation violations affect deferred judgments. Interviewer: If someone has been sentenced to a deferred adjudication, will a probation violation affect that? Attorney Schatz: Yes. In Utah, we have what’s called a “plea in abeyance” (or PIA for short). Under the terms of a plea in abeyance, an individual may be pleading guilty to some or all of the charges, but rather than entering it as a conviction on their record, the plea is then held in abeyance, or in essence, held in limbo based on their compliance with the sentence and probation. If they comply, then at the end of the probationary period, the defendant gets to move to withdraw his plea and have the charge dismissed. However, if during that probationary period, there is an allegation that the person has failed to comply with any of the terms of the plea in abeyance, then they’re allowed to have a hearing. If the court finds that they failed to comply with the terms of the plea in abeyance, the judge has a couple of options, depending on the nature of the non-compliance. Sometimes the judge will revoke and reinstate the plea in abeyance for an additional period of time with additional conditions. If they choose not to revoke and reinstate, and they instead revoke the plea in abeyance, what happens then is the individual’s conviction that was held in abeyance is then formally entered on the person’s criminal record. It’s then scheduled for sentencing on the conviction. At that point, it’s as though they’re being sentenced the very first time, and the court can impose anything from community service, fines, counseling, additional probation, and jail time— but the person has lost the benefit of not having that conviction entered. Interviewer: What happens to the violator’s criminal record then? 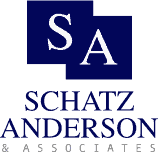 Attorney Schatz: The conviction would be reported to the Bureau of Criminal Identification to be placed on the person’s criminal history, as well as to the Driver License Division if it involved an offense that triggers a suspension or any sort of reporting requirement to the Driver License Division.